Santhakaphaa tablet is developed for cough camplaints like running nose, sneezing, heavy head & cough allergies. Santhakaphaa is a favourite medicine of many patients as it gives best result instantly without any side effects & So without strong steroids or antibiotics, cough cold can be controlled with Santhakaphaa tablets. On running nose Santhakaphaa works well it can be taken in tonciles, throat infections, sore throat complaints as Santhakaphaa 1/4, Vatshaanti 1, Tanvishataa 2 & Tanvijyeshta 1.This same combination helps in sinus, migrain, cough, fever due to cough, dust & other allergies, body itching & rash, psoryasis etc.In psoryasis with the same oral combination wash skin with Ubtan Joy Liquid. Wet the skin apply 1/4 tsp Ubtan Joy. Massage for 2 minutes & then washoff. This helps in skin irritation, allergy, itching, tanning & brings the skin to natural texture.Same oral combination works on neck to back pain, spondylossis, slipdisc, ear pressure, eye itching, eye allergies, mouth ulcers, numness, faints etc.Take Santhakaphaa 1/2 tablet on empty stomach early morning. For cough, cold, snizzing, running nose & allergies. You can add 1 tablet Tanvijyeshta to this for better results.Due to frequent rain wetting chest becomes heavy. 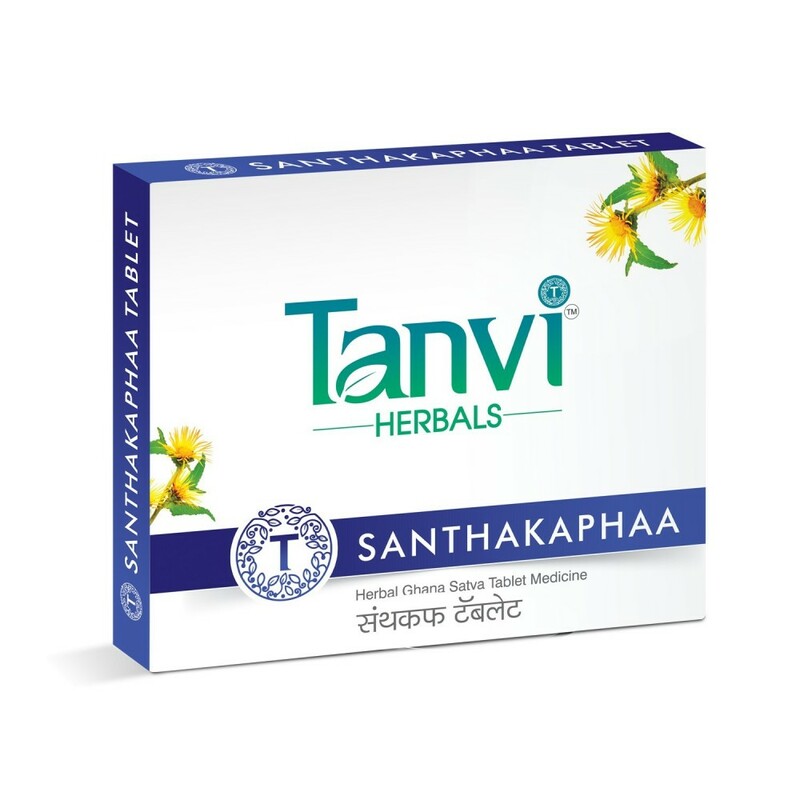 seasonal cough cold due to icecreams & colddrinks, throat irritations & continuous feeling of cough in throat can be treated with Santhakaphaa 1/4, Vatshaanti 1, Tanvishataa 1 & Tanvijyeshta 1 once or twice or thrice a day as required.Santhakaphaa can be used as a preventive cough tonic. So after intake of cold drinks & ice creams take Santhakaphaa as a preventive medication to be away from cough cold irritations & allergies.Santhakaphaa is a good treatment on allergies due to pollution.Avoide curds, banana, guva & custered apple in all cough cold complaints.